Not just for adults, the Barbour International Jacket is also available for kids. 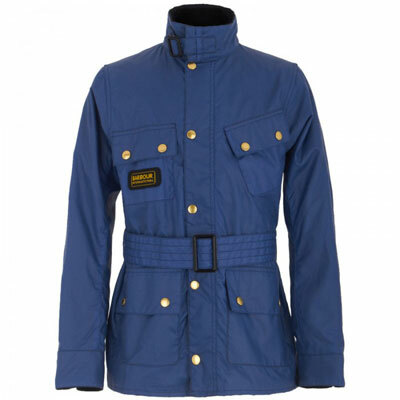 It looks just the same as the grown-ups version too, a lightweight blue waxed cotton jacket in a mid-blue, with four pockets, shiny gold buttons, a corduroy lined collar, a tartan lined interior, a gold concealed front zip and a belted waist. Sizes are from age six to 15, with the price at £157.